The Humvee interior set from Pro Art Models isn't entirely new product, although it was not available in this configuration previously. Most resin parts in the set came from earlier Dumvee conversion set and only a few small bits are new. 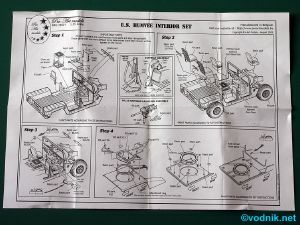 The set is designed for Tamiya M1025 and M1046 kits (although this information cannot be found anywhere on the box) and some parts may not fit well to other Humvee kits. In the small box with a picture of included resin parts attached to Tamiya model on the label, we get a one page A4 size instruction sheet and a single zip-bag with resin parts. 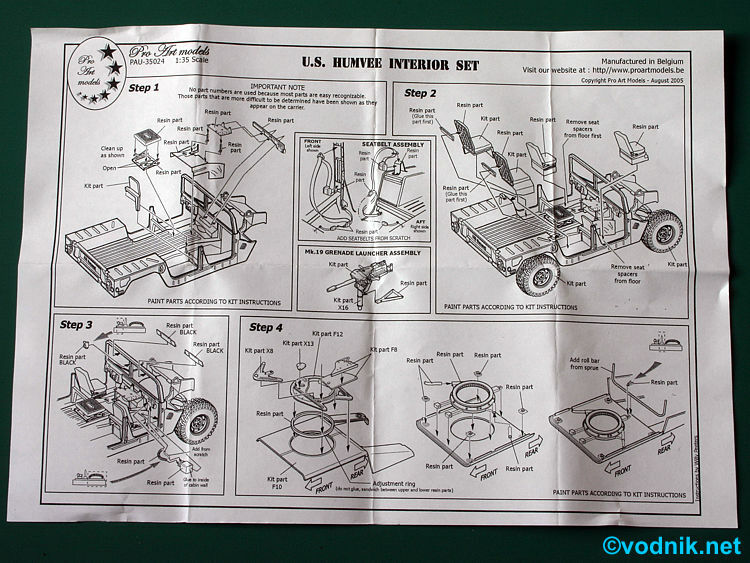 The instruction sheet shows simple construction steps on very clear illustrations. Resin parts don't have numbers assigned, but they are presented in such way in instructions that it is very easy to identify each of them. - "fabric" cover for the space between front seats. 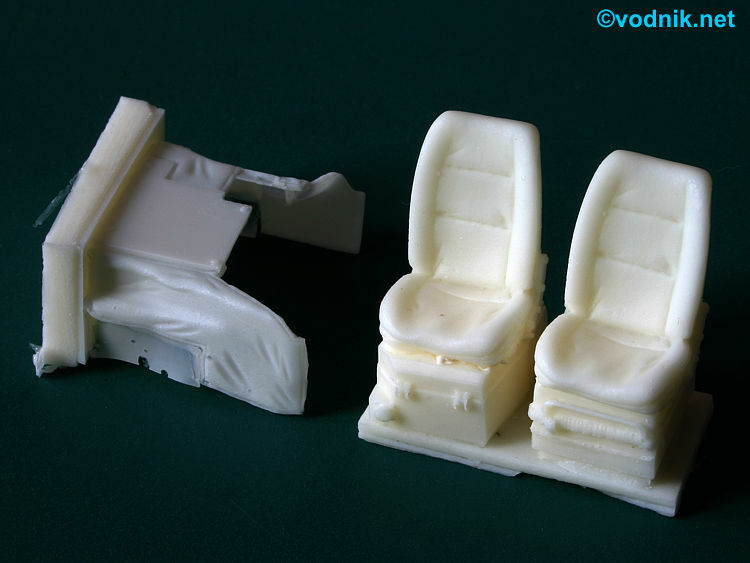 - small fittings for seatbelts (but actual seatbelts are not included) . Click on picture to enlarge it. Contents of the set. Resin parts are well cast with little flash and only no air bubbles visible on parts surface. All parts in the set come attached to casting resin blocks and removing them from some parts will require some very careful sanding. There is also a resin film filling openings in some parts, but it should be easy to deal with. The only problem worth mentioning is the fact that most of small holes around the weapons ring base are completely filled with resin and opening them would require a lot of drilling. Close-up shot of some included parts. 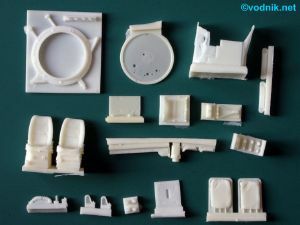 New parts look quite accurate and should nicely improve and update interior of Tamiya kit. Small detail that is not quite correct is wiper motor on the windshield that is too small under scale - should be almost twice the current size. Also the backrests of front seats seem to be noticeably too thick. It is a pity that only two new style seats are included in the set, as most new Humvees have new seats also at the back. At least that seems to be standard for hardtop variants (as depicted by both Tamiya models). 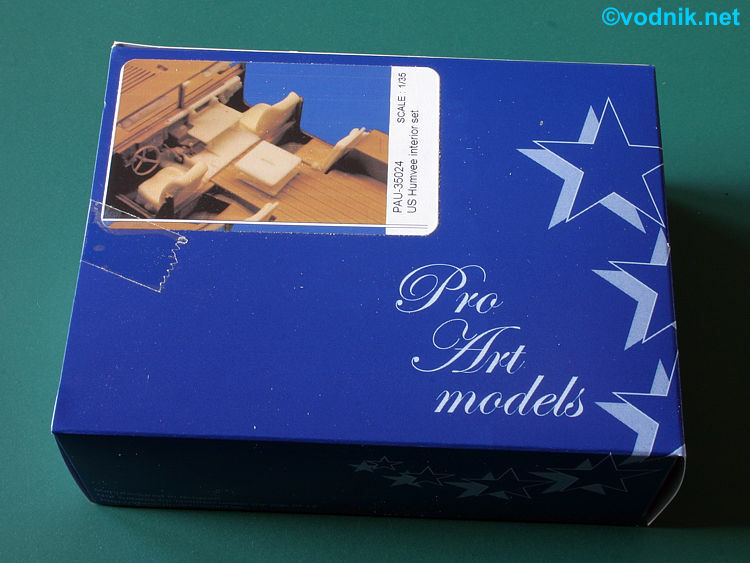 Soft-top versions more often have new front seats and old rear ones, so for them Pro Art set is more correct. It could also be nice if Pro Art provided pedals, missing from Tamiya kits, but they didn't and this detail must be scratchbuilt. Overall the Pro Art set is a nice addition to Tamiya kits and most parts should also work with other manufacturer's Humvee models.